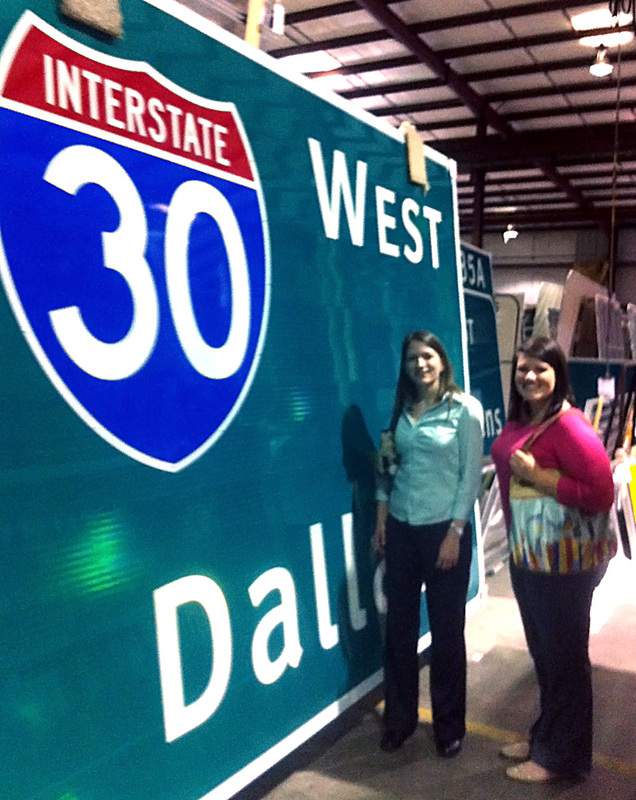 Traffic engineers Annette Porter and Claire McKinney, along with Traffic Team Leader Nicci Tiner, visited Interstate SignWays in Little Rock, Arkansas to watch the company produce roadway signs. The Garver employees toured the 169,000-square-foot facility to discover how the company creates drawings, produces and inspects signs, certifies materials, and delivers the signs on interstate trucks. "The tour gave me a better understanding into how our engineering designs move from plans to actual signs," Annette said. "Watching this process will help me with my design of interstate signs." As part of their work with Garver, Claire and Annette have provided signing details and plans for projects in Oklahoma, Arkansas, and Mississippi. 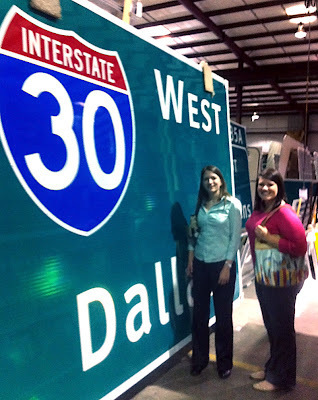 Interstate SignWays is a leading highway sign manufacturer and has worked for clients throughout the United States.